Monday Poll: Android Fans – Are You Considering a Switch to Apple Music? Apple Music is official and coming to Android. For die-hard Android users like those who hang out here at DL all day, every day, you are for the first time, going to have a choice of a new service that involves Apple that won’t force you to leave Android. That’s kind of nuts if you think about it. So here is the question – are you now considering a switch to Apple Music when it launches this Fall? Some of you may be asking back, “Why would we do that?” For a couple of a reasons. If you look at the entire service, Apple Music may not be all that terrible, other than the fact that it’s Apple who is controlling it. For example, the music library that Apple has access to is easily the best in the business. From exclusive albums or tracks to early pre-orders and releases, no one has as many as Apple. No one gets everything first, like Apple does. Beyond that, Apple is allowing you to sign-up up to six members of your family with Apple Music for just $14.99. Individual subscriptions at almost every other music service will run you $9.99. Apple’s is also $9.99 individually, but think how much money you will save by letting the whole family in for a total of $14.99? And that way, you don’t have to share your Google account between devices, like my wife and I do to both access our Google Music subscription. Finally, if you look at that screenshot, Apple seems to have followed Android’s app design guidelines as well. This doesn’t just seem like an iOS port – they may have actually cared about the experience. Tell us, are you considering the switch toe Apple Music? If so, why? 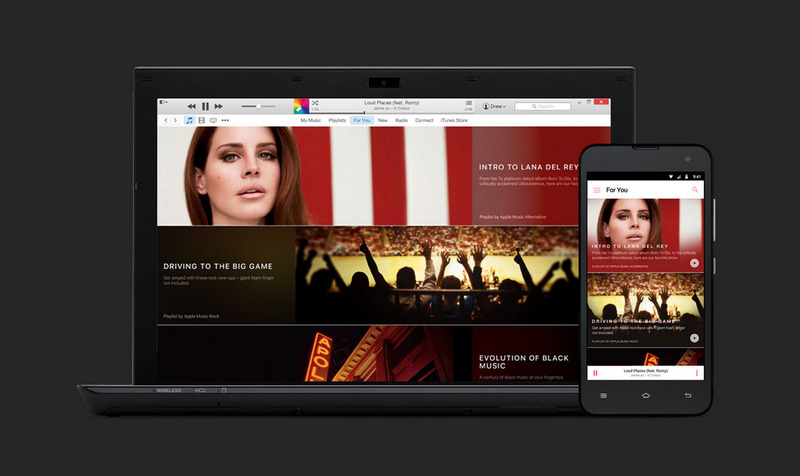 Are You Considering a Switch to Apple Music?